Worldwide icon-chevron-right Europe icon-chevron-right Spain icon-chevron-right Barcelona icon-chevron-right Rekup and Co.
Wood is one of the most versatile materials around, allowing you to give your creativity a free rein and make every single piece unique, according to self-taught designer Emmanuel Wagnon, originally from Lille. 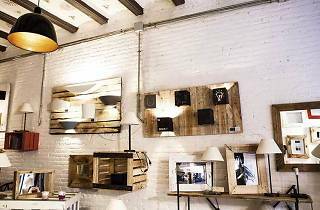 Using wood reclaimed from pallets, he makes everything from simple picture frames to elaborate pieces of furniture. The rocking chair fashioned from a bobbin and the coffee table on wheels are some of the most eye-catching pieces in his store, Rekup and Co., which opened in 2014. 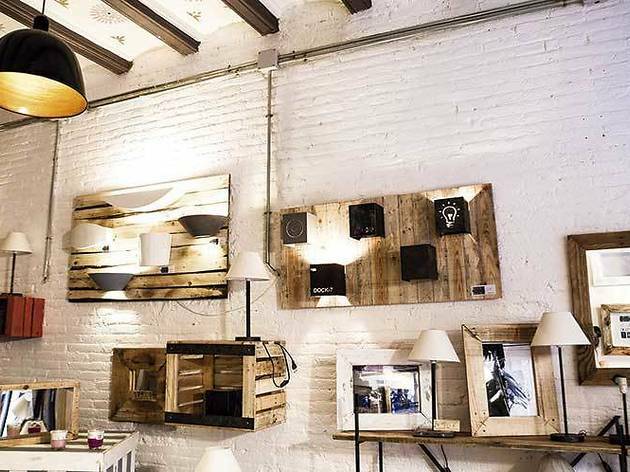 You’ll also find original juxtapositions of iron and wood in his ready-made lamps: his next venture is going to be into the world of light boxes.